Why Do Some People Use Toothpaste with Baking Soda? Using toothpaste to clean your teeth has always been the accepted way to care for your teeth. Although they are safe to use, toothpastes contain harmful ingredients that can be detrimental to the user. One of the toxic substances found in toothpastes is fluoride, which has been linked to different health problems including infertility and premature puberty among children. Baking soda, on the other hand, is a harmless substance. 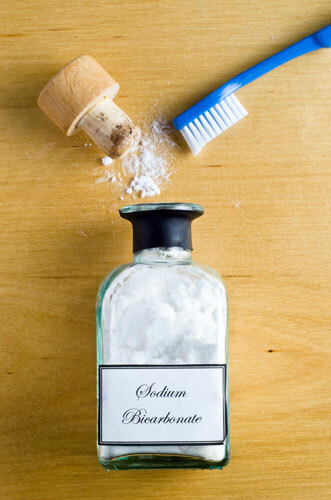 Baking soda is an ancient form of home remedy and it effectively helps clean the teeth. What Makes Baking Soda A Good Substance? One of the many benefits of combining baking soda with your toothpaste is the tough cleaning and abrasive capacity it offers. Our mouth's saliva is normally acidic as it is the starting stage of digestion. Baking soda is an alkaline agent, which makes it an effective substance to clean your teeth because it balances the mouth's pH level. Acid is a cavity causing substance that is neutralized with baking soda. This is also the reason why some products use the substance as one of the primary toothpaste ingredients. Not only does it effectively clean the teeth, but also gives additional benefits too. They are also better in removing plaque, which is the cause of most dental problems. Sodium bicarbonate as baking soda is scientifically called is an abrasive chemical that can be used to clean hard surfaces. This includes the teeth, which are protected by a strong layer of enamel. When used as a toothpaste component, it safely removes hard to dislodge stains within your teeth and the surrounding areas. Combined with your toothpaste to form a tooth cleaning solution, baking soda can remove stains, get rid of bacterial growth, and balances the hydrogen ion concentration in the body. If you have any questions or would like to schedule an appointment, please call us at (602) 562-9565 today.